Home Schuler & Lee, P.A. Schuler & Lee, P.A. is a Florida Board Certified civil trial law firm specializing in catastrophic personal injury, insurance claims and consumer law cases. In January 2001, after 20 years of working as a trial lawyer for huge corporations and insurance companies, Mr. Schuler realized that he no longer wanted to do this. Now he uses the skills and knowledge he has developed to exclusively represent victims of insurance company abuse and corporate negligence. As your Florida personal injury lawyers, we fight for injured and victimized people throughout the State of Florida in all types of serious personal injury cases. Meet Our Team at Schuler & Lee, P.A. Scott specializes in Civil Trial practice and has been Board Certified as a Civil Trial Lawyer since 1990 by the Florida Bar. With a trial career spanning three decades, he has had well over 100 civil jury trials. An “AV” rated attorney by Martindale-Hubbell, Scott graduated with honors from the University of Florida, where he received both his bachelor’s and J.D. degrees. He served as a board member of the University of Florida Law Review. 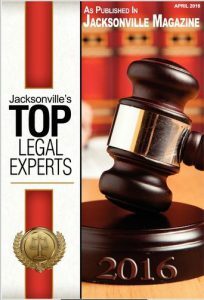 He is also a member of the Jacksonville Bar Association, the Jacksonville Justice Association (JJA), the Florida Bar, the American Association for Justice (AAJ), the Florida Justice Association (FJA), the National Academy of Elder Law Attorneys (NAELA) and the National Association of Consumer Advocates (NACA). Scott has been married since 1985 to Karen Schuler, an Occupational Therapist at Brooks Rehabilitation Center. They have two children, Eric and Melanie. Scott is a black belt in the Korean martial art of Tang Soo Do, a competitive rower and a green belt in judo. He also is a long time supporter of Jacksonville Area Young Life and of the Brooks Rehabilitation Adaptive Sports and Recreation Program. injury and wrongful death litigation, and also practices in the areas of appellate law and consumer law. He handles all appeals for our firm and often handles appeals for other attorneys. He is also the principal attorney at Schuler & Lee, P.A. in the areas of complex presentation of computer generated graphics and evidence in the courtroom. Brian graduated from Florida State University in 1997 and from the Florida Coastal School of Law in 2001. He served as a board member on the Florida Coastal School Law Review, and his articles have been published by that journal. Also with publications, he is a frequent lecturer on issues in the foreclosure/consumer law field. 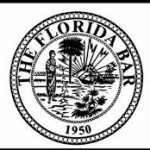 Brian is a member of Jacksonville Bar Association, the Florida Bar, the National Association of Consumer Advocates, the American Association for Justice and the Florida Justice Association. He is also a board member for the Jericho School for autism in Jacksonville, Florida. Brian has been married since 1998 to Jill Lee, a music teacher in the Ducal County Public Schools. They have four children. Both Brian and his family are active in Arlington United Methodist Church and Brian has either sat on or been the chair for the Board of Trustees at Arlington United Methodist for the past three years. Lorna has been working in the legal field since 1980. She has been with Scott Schuler since February of 1986. As Office Manager of Schuler & Lee, P.A., she is in charge of making sure the office runs smoothly and efficiently. Her favorite part of her job is the relationship she enjoys with her staff, clients and others in the legal community. Lorna is married to her husband, Charles. They have two children: a daughter, Erica (who is married to Kyle Crabtree), and a son, Jonathan. Lorna is a long-time member of First Baptist Church where her husband has been the organist for over 25 years. 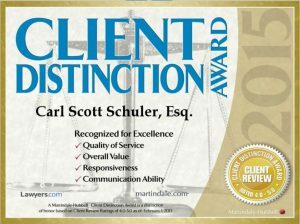 Find out more about what we do at Schuler & Lee, P.A. Find out more about Scott Schuler and Brian Lee’s involvement in the Jacksonville community. If you have any questions, call us at Schuler & Lee, P.A. (904) 396-1911. Wondering what your case is worth? Click here to fill out a Case Value form that will allow us, at Schuler & Lee, P.A., to contact you about the potential value of your case. For free resources from Schuler & Lee, P.A. that you can use today, click here.